Many times, when I speak to a business for the first time I have to get past their mask. They cling to their perfect business process map or their mask. To get into meaningful business improvement activities you must get past the process maps that adorn your walls and quality management systems. You must enter into the ‘warts and all’ reality of your business’ activities. This article looks at three areas that helps you jump start your improvement activities when you map the processes that takes place in your business. In my experience, lag causes one of the biggest offenders. The inclusion of lag in your process maps adds a more realistic dimension for the map. As I write this, I recall one business that couldn’t figure out the reasons for lateness on pretty much all of their contracts. They factored in all of the work required to deliver the projects, and balanced out the resources required to deliver the contracts, but always failed. Yet, in reality, the handovers between the departments of their business (and their associated ineffective decision-making activities) bloated their projects time. Ensure lag (and lag related issues) features in your business process map when you want to improve. Another example of a missing feature of the business process map I come across is that of rework. In our imperfect world, rework always exists. It uses our resources in a usually less than effective way and stops us from doing what we want to be doing in the first place. Eradicating, or at least minimizing, rework is an active goal for most businesses. By getting real about rework in your business maps, you find decent improvements to tackle. This very same issue stopped another of my clients from delivering their products on time to their customer. Again, like the last example, this company thought they knew their numbers and were baffled that their performance didn’t meet their plan. In the middle of their process they found a rework loop that got lost within the day to day busy-ness of production. By changing some of their Key Performance Indicators (KPIs) to include this rework time, this became both manageable and resolvable. Their performance changed completely. For, the final missing item I would like to bring ambiguity to your attention. When a group draws process maps you often have a number of nodding heads in the room. The process may be captured correctly, but the ownership of the steps may be unclear. The precise operation of the process steps may be unclear or poorly executed. In addition, the documentation around a process step may be inadequate or unappreciated. Basically, there is a distinct chance that we don’t fully understand what needs to happen for perfect execution of the process step. Or, putting it another way, we don’t know what ‘good looks like’ for our process steps. I sat in many process review meetings where the team raised following question are we 100% confident that we understand everything? We need to know about this process step, including who does what and include detailed written instructions of the step. 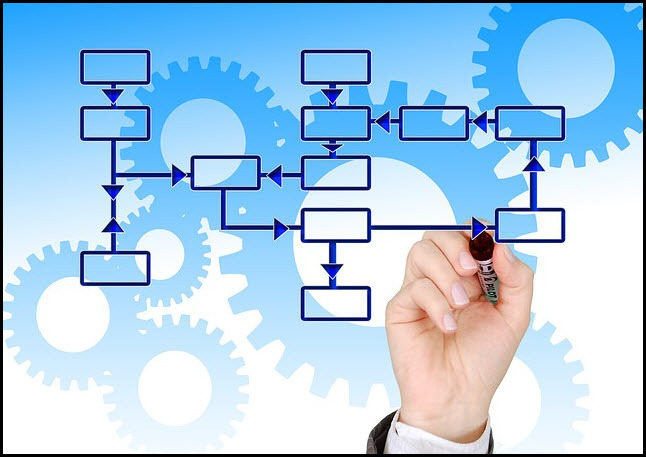 Normally, the business process map in our formal business systems are great; they show what we should be doing and how we measure our performance. When it comes to process improvement mapping, however, we shouldn’t only use our manuals and established maps. We need to capture all of the niggles and frustrations with our current processes so that we can do something about it. If we get real about our improvements we can manage our way to a higher-level performance. Take the above three ideas (lag, rework and confusion) and take another look at your business processes and identify your possible improvements.